16in Sterling Silver chain. 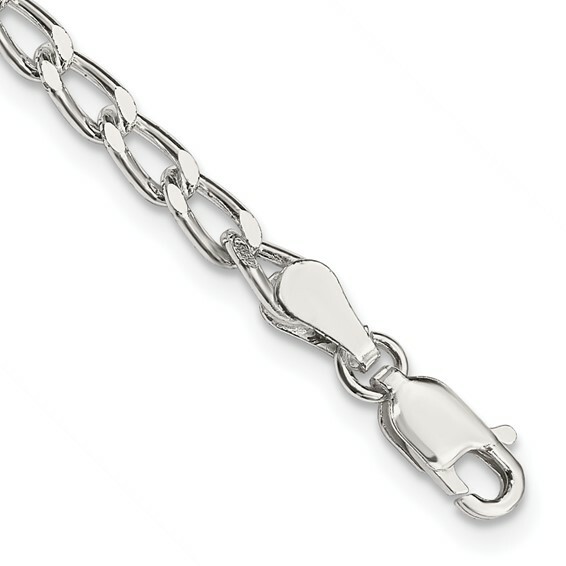 3.2mm wide open link chain. Weight: 9.5 grams. Lobster clasp.